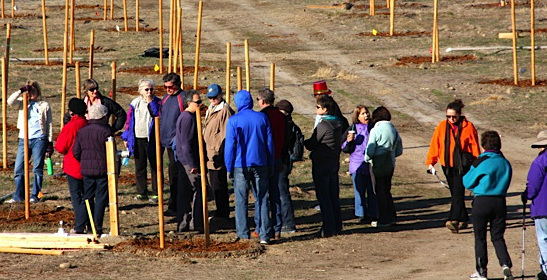 Annual FORB New Years' Day 2014 reviewing Tree Mitigation Planting Site at Sutter's Landing Park. 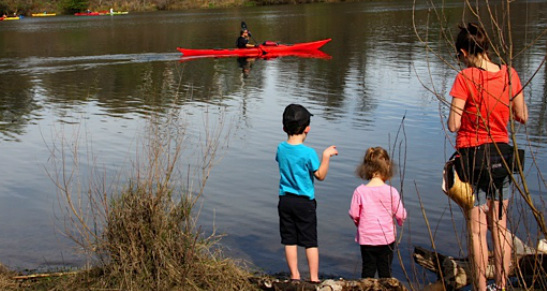 Enjoy the river & preserve it so future generations can too. A quiet evening scene on the river at Sutter's Landing Park. Pair of sea lions. Photo taken in 2013 and sea lions and river otters forage regularly at Sutter's Landing Park. Photo by Robert Sewell. Habitat restoration site preparation work underway at Discovery Park. Captive Swainson's hawk used to introduce the crowd that came out to Celebrate the return of Swainson's hawks to Sutter's Landing Park.